In many school systems across the country, the prevailing paradigm for dual language learners (DLLs) has been to intentionally separate content instruction from language learning. In many cases, this means DLLs are pulled out of class to work on vocabulary, grammar, and fluency in isolation from the mainstream curriculum. Teachers of “content” — the subject areas of reading, math, science and social studies — often work siloed from a school’s English as a Second language (ESL) or English to Speakers of Other Languages (ESOL) teachers. However, to better support DLLs, education leaders must keep in mind a commonsense truth: language is fundamentally, necessarily embedded into all content. Consider: when a DLL is asked to explain the science of how seeds grow into flowers or why governments have laws, she needs a system of words to do so. That’s the very point of language — to communicate content, to communicate ideas. We develop language not just to develop it, but for productive, useful purposes. Any adult with experience learning a foreign language knows that nothing kills interest and stunts the process like memorizing lists of seemingly-random vocabulary words. Language without content is desiccated, dry, boring, and ultimately unimportant. For these reasons, researchers and advocates have pushed in recent years for a new pedagogy of integrated language learning, one in which language is learned and used authentically in the service of learning content. Under this framework, all teachers take responsibility for DLLs’ academic success, even as ESL teachers continue to play a targeted role for accelerating language acquisition (especially for DLLs with little to no English). Science presents a particularly ripe area for all DLLs to engage in meaningful, authentic contexts that integrate language and content learning in this way. 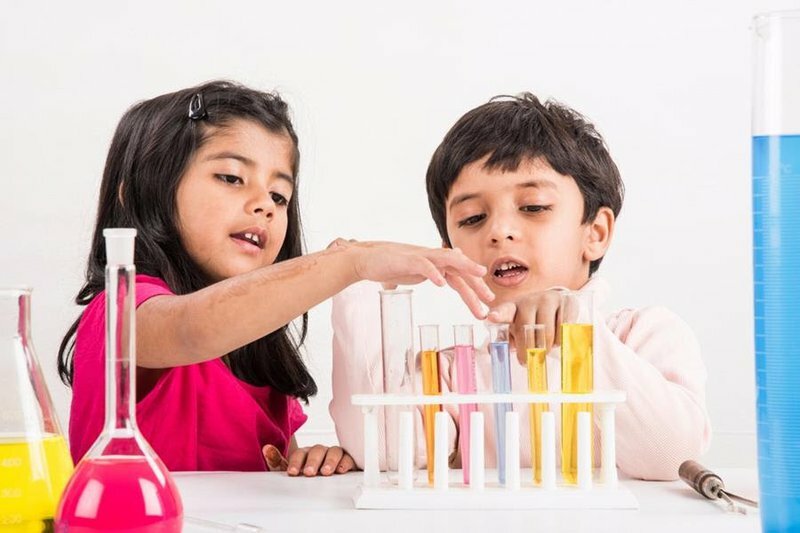 Science can already be uniquely engaging for DLLs, given the concrete, hands-on nature of experiments and tinkering, learning that might not require as high an English proficiency bar from DLLs. Nonetheless, science does offer many linguistic opportunities related to asking questions, collaborating, constructing explanations, and arguing from evidence. Unfortunately, research suggests that current methods of teaching science to DLLs are not working well: NAEP data reveals a forty point science achievement gap for DLLs and non-DLLs by fourth grade. And a recent study shows that gaps in science knowledge start even earlier for many low-income, Hispanic children, a demographic that overlaps with many DLLs. In the context of a growing, national push for equity in STEM education, we need to identify promising, scalable instructional strategies that equip teachers to make science learning accessible for all learners — including those who have not yet mastered English. To that end, a new study from researchers at NYU assessed the impact of one science curriculum, P-SELL (Promoting Science Among English Language Learners). Education professors designed P-SELL specifically for DLLs in mainstream science classes. Researchers randomly selected sixty-six schools across three Florida school district. Half used the P-SELL curriculum and half used “business-as-usual,” district-provided options from Pearson, National Geographic, and Houghton Mifflin. To evaluate P-SELL’s impact, students took two tests: the state science assessment and a researcher-developed test. Researchers found a significant, positive effect on the researcher-developed test for all students, and an even greater one for DLLs versus non-DLLs. They also identified a positive effect on former DLLs and non-DLLs on the state science exam, but for current DLLs the effect was not statistically significant (more on that later). The P-SELL curriculum pairs hands-on, inquiry-based activities with reading and writing exercises. It embeds English language development strategies throughout, including: making connections to prior knowledge from home and community context, visual representations of information, and ample chances for speaking and listening in small and whole group settings. The curriculum also uses home language scaffolds strategically to support DLLs. For example, each textbook chapter starts with key science terms in English and translated into Spanish and Haitian Creole, the two most common DLL home languages in the Florida districts. To assist with implementation, P-SELL teachers received significant implementation supports. Each received an extensive teacher’s guide and a total of five, full-day workshops throughout the year, facilitated by the study’s research team and district coordinators. Importantly, schools received financial resources to make this work. Teachers earned stipends or certification credits for their time, and schools received funds for substitute teachers during school-time workshops. The P-SELL study’s results are particularly exciting for several reasons. First, the study uses a randomized control group design, the gold standard in scientific research. This design allows researcher to say — to the greatest extent possible — that differences in DLLs’ scores were due to the curriculum. Second, the study is large scale, involving over 6,000 students from diverse backgrounds. As the authors note, many recent, promising studies on DLLs and science instruction have been relatively small, each involving no more than a handful of schools. This study shows that interventions to integrate science and language learning can be scaled up to improve outcomes for lots of students. Third, P-SELL raised achievement for all students at varying levels of English proficiency. Integrating content and language helped everyone. But in addition to these highlights, other areas of the study merit closer examination. For example, DLLs made gains on the researcher-created test but not the state-mandated one. Researchers postulate that their test — which was comprised, in part, of old NAEP items — was more closely aligned to content being taught in class. Another possibility is that the assessment designs made a difference. In particular, Florida’s state science test only features multiple choice questions whereas the researchers’ test had three short-response items. Open-ended tasks can allow DLLs to express and get credit for what they know in ways that they can’t with a multiple choice bubble. Another important angle to consider is curriculum implementation fidelity. That is, to what extent did teachers adhere to and deliver the curriculum at a high-quality level of instruction? These are questions that education leaders often gloss over, but they are important to consider in any rollout of instructional interventions. For example, when teachers know they are being monitored and receive consistent coaching and training (as was the case with P-SELL), we might reasonably expect them to use the curriculum more faithfully than teachers using the “business as usual” curriculum without such accompanying oversight and supports. In that case, those contextual factors are just as critical as the curriculum itself. Curricula are not magic: promising research results are no substitute for faithful implementation. One final note: this study is on fifth graders. 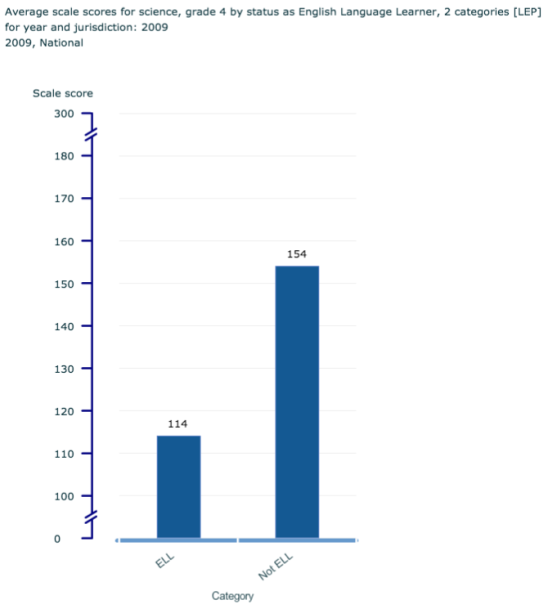 And the NAEP data offered above showing the DLL science achievement gap is from fourth grade. The federal government mandates science assessments once in third through fifth grade, but before that — as with math and reading — data on science outcomes for our youngest learners is extremely limited. Just like in math and reading, states need a strategy for science assessment in the early and elementary years — in developmentally appropriate ways. Without one, there is a glaring lack of benchmarking and monitoring of progress, making it much harder to close science achievement gaps as they form. For all students, including DLLs, we start thinking about and addressing science gaps way too late. So: the new study presents a promising example of how interventions at the mainstream, classroom level — curricular changes coupled with teacher support — can move the needle for DLLs. “All teachers should be teachers of DLLs,” advocates stress often. But we have to go beyond preaching to the ESL specialists choir: they’re already sold on this point. We need to partner with general educators, and this requires a major shift in thinking and practice for many. We can build this bridge by equipping mainstream teachers with a mainstream curriculum that infuses language supports with content at every step of the way. When mainstream teachers integrate language with content, all students — especially DLLs — reap the benefit. 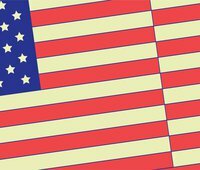 This post is part of New America’s Dual Language Learners National Work Group.Click here for more information on this team’s work. To subscribe to the biweekly newsletter, click here, enter your contact information, and select “Education Policy.”"